The weather outside is frightful, and the week ahead calls for falling temperatures, maybe even snow. That makes it easy to dream of warmer spring weather, but to plan for it? 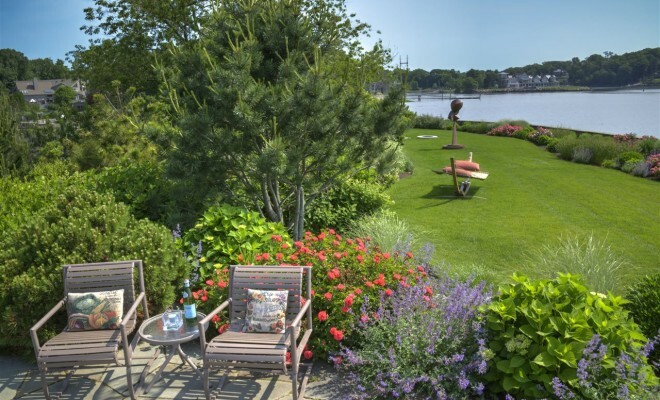 To sit and strategize for making the most of next year’s lawn and landscape projects? That seems like no small feat. The good news is that spring will be here before you know it, and now is the best time to work with your local landscape professional to set the stage for a healthy spring. With the expertise and knowledge of a professional, you’ll be well on your way to get a thriving landscape you’ll enjoy come spring. Quality lawn care and landscape professionals are all around you, but finding the perfect one can be challenging if you go it alone. Instead, consult the National Association of Landscape Professionals (NALP) professional directory at www.loveyourlandscape.org/find-a-pro/. You’ll have access to the NALP’s comprehensive directory and can find inspiration through the organization’s expert advice columns and idea center, motivating you to take your spring landscaping projects to new heights. The initial conversations you have with your landscape professional are essential for creating a beautiful outdoor space. When working with a professional, you can become more prepared by considering the answers to these questions in advance of your first meeting. What’s important to you? You don’t need to know every last detail, but you should have a broad understanding of what you want. Do you want to entertain? Have space to garden or create a private area to enjoy quietly by yourself? Determining what you want your yard to be and how it will be used can help your landscape professional realize your vision. What’s your budget? When it comes to dreaming of the perfect landscape project, the limit is your imagination. But once you place some real-world practicality behind it, the limit will ultimately be your budget. So, how much are you willing to spend? It’s a good idea to have a rough estimate of this figure in your head before discussing plans with your landscape professional. Relaying this information to them will allow them to tailor a project that matches your expectations and your budget. What plants are best for your property? Flowers, shrubs and trees are all integral to any landscape project and you should have an idea of what you’d like to see. If you don’t know, visit your local greenhouse or nursery for inspiration and gain a greater understanding of native plants that fare well in your environment. What level of lawn care is needed? Whether or not you have sprawling acres of land, a healthy lawn of any size and shape sets the foundation for a beautiful landscape. Your lawn care professional can review with you how to grow and maintain a lawn through all the seasons. Consider if weed control, mowing, aeration, fertilization and irrigation may be needed as part of your lawn care program. A lawn care specialist can help you budget and plan for these tasks now, even if your lawn is covered in frost or snow! The long weeks of winter are here, but now is the perfect time to formalize your plans for a gorgeous, spring lawn and landscape. A professional can help you reach every goal you’ve dreamed about. So start planning today. Your home will benefit from your preparation — and on those cold mornings, it sure helps to dream of spring, doesn’t it?